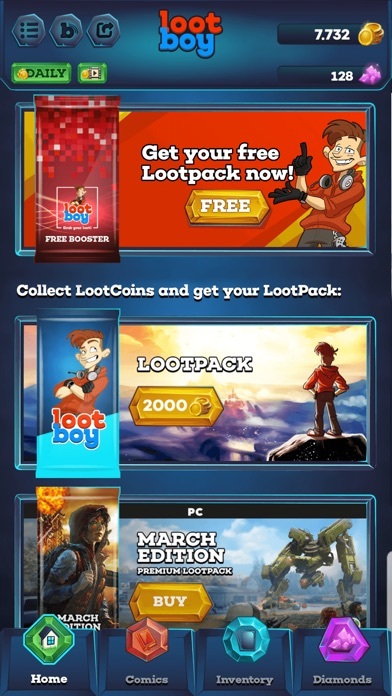 With LootBoy you get digital loot for free and low price bundle offers! LootBoy is the app for gamers: - Rip open gratuitous LootPacks and receive exciting digital content - for free! 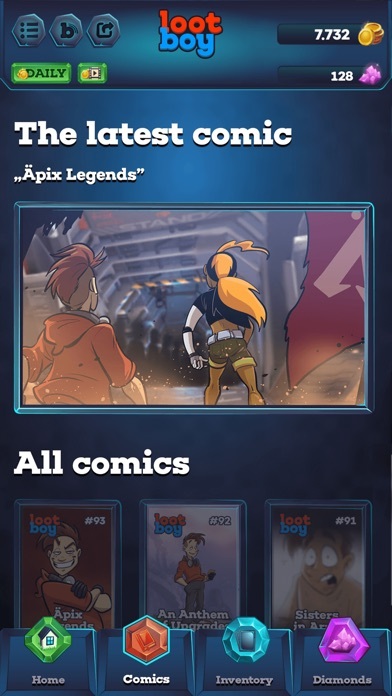 - Many different item codes for current games, beta accesses and more... - Get the monthly LootBoy comic and much more. LootBoy offers you exciting bundles for purchase month after month. Every Friday, a new loot boy comic will be released. 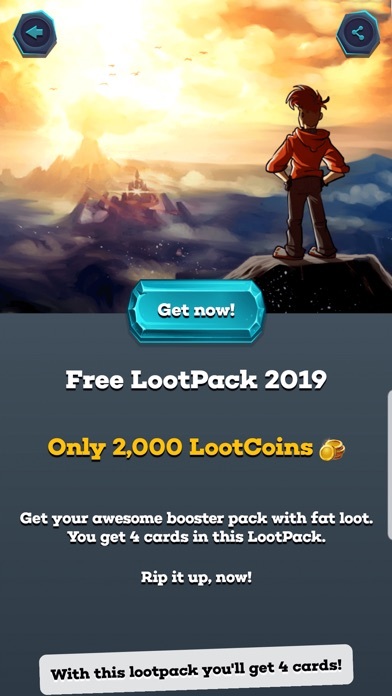 Dwnload the free lootboy app and get the first lootpack free of charge. 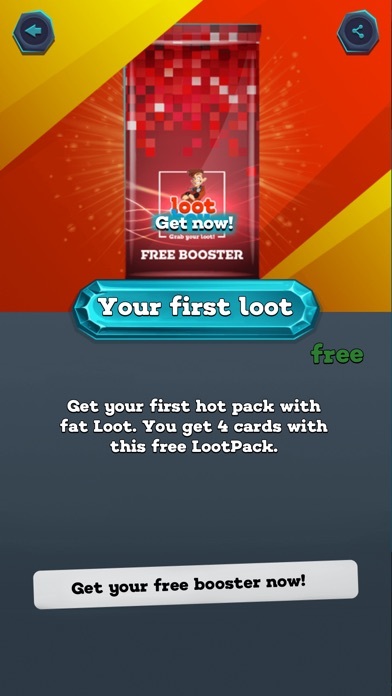 You pay 99 cents for “premium packs” for the games you play and you’re chances of getting the item you want is always going to be a in app wallpaper or coupons for things other than the items in the game you’re purchasing the pack for. Not worth any gamers time you’re better of spending money in the game you want your item for. Just look at the names of all the 5 star reviewers recently. There’s a string of around 15 of them, all written by people who’s username is a real name. I strongly recommend LootBoy to everyone! No issues. Activation was seamless and minimal effort. Going to be looting my games here for a while. Every purchase and installation was flawless so there were no bumps in the road at all. Thank you LootBoy for the fantastic service and professionalism. Not too good to be true, IT IS SIMPLY TRUE! LootBoy ROCKS! LootBoy had soooo many killer games at prices that are INSANE! My son got birthday and holiday gifts abound as the deals were incredible.